Many of you are aware that I have a new full-length book coming out later this year as the next installment of Ironclad‘s popular Discovering Civil War America series (forward by Eric J. Wittenberg). This covers John Gordon’s brigade in its trek from Virginia to the banks of the Susquehanna River, and thence to Gettysburg and destiny, where 500 men would become casualties. Obviously, thousands of Confederates were interred in Gettysburg (many of which were been removed to the South in the late 19th Century). However, not all of them were taken up and transported to Dixie. Here in adjoining York County, Pennsylvania, a few members of Lee’s Army of Northern Virginia still rest in Northern soil. A few are buried in York’s Prospect Hill Cemetery (these are believed to be men who perished of wounds after being transported to the local U.S. Military Hospital immediately following Lee’s retreat, or perhaps were sick men left behind when Jubal Early departed York on June 29, 1863). However, there are two other local burials of interest that I discuss in my upcoming book. Along the banks of the Susquehanna River north of Wrightsville (and south of Harrisburg) is the solitary grave of an unknown Confederate soldier. His remains were found washed up on the western riverbank shortly after the Battle of Gettysburg. He was buried on the spot and, decades later, a local veterans descendant group erected a small stone headstone in his memory. The grave just a few yards from the river and is subject to occasional flooding. It is about a mile north of the popular Accomac Inn, one of this area’s most historic taverns, on River Road. Access is fairly easy from U.S. Route 30 (get off at the Wrightsville exit, head north, and follow the signs for the Inn. Then turn left along the river and drive about a mile. The marker will be on the right along the road). The identity of the man is of course unknown, as no identification was found with the body. Speculation varies as to his regiment, or how he came to drown in the broad Susquehanna (which was running deep during the Gettysburg Campaign due to heavy rains). 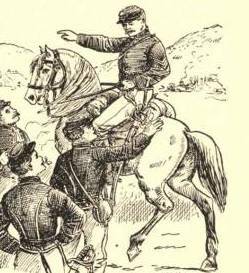 The general thought is that he was a cavalryman, perhaps from the 17th Virginia of Col. William French, sent to pick his way across the river on horseback to find a safe passage. The 17th had chased a large contingent of Federal militia across the river on June 27, and perhaps this man was searching for a way to cross the river to flank them. Another old local legend is that the man was a deserter from Early’s division (there were indeed several of them roaming York County; several made their escape to Canada, although most were picked up by roving Federal cavalry patrols from Bell’s Cavalry or the First Troop, Philadelphia City Cavalry). One variant to the deserter story states that the man was on a raft that overturned. he could not swim and perished in the swirling water. His identity lost, he remains an enduring local mystery. Another Confederate was buried in Big Mount, just inside the York County line from neighboring Adams County. He was a member of Early’s division who died of natural causes along the line of march. His comrades buried him near where he fell. No stone currently marks the spot. Other Rebels died in various places in Fulton and Franklin counties and were buried in unmarked graves. Of course, there are thousands of Confederate graves scattered throughout the North (most from vets who died long after the war, or of POWS who succumbed to illness or exposure during the war). What Northern graves of Rebels who died during the war are you aware of? Please leave your comments and thoughts. Top 5 Civil War movies???? 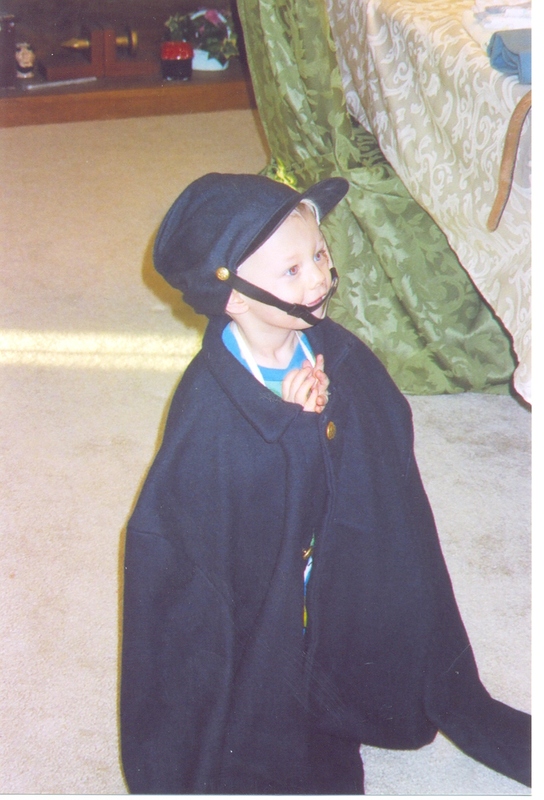 On the right: My grandson Tristan wearing part of my reenactor’s uniform. Now to get him a drum! My son Tom recently picked up an old VCR tape of one of my all-time favorite “Wonderful World of Disney” made-for-TV flicks from the 1960s, the classic Johnny Shiloh. We had a delightful evening watching this during a snowstorm a couple of weeks ago. Starring Brian Keith and Kevin Corcoran, this tale of young drummer John Lincoln Clem was to me, as a small boy, an exciting story of the Civil War. When I found out that the real Clem was a native of nearby Newark, Ohio, and my Dad drove me there later to see his statue, I was HOOKED! 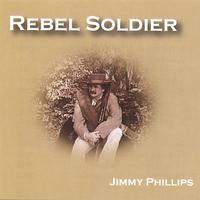 I became a fan of “Johnny Shiloh” or “The Drummerboy of Chickamauga”. I read everything I could about him from the local library in Zanesville. One of my 54mm plastic Marx Union drummer toy soldiers quickly became my small personification of the character from the Disney movie. He heroically led many a charge in my sandbox under the old apple tree in back of my parents’ home (I still have the figure and most of my aging Marx toys). Between Johnny Shiloh and Disney’s The Great Locomotive Chase with Fess Parker, I was enthralled by all things Civil War related. My Dad and Mom took my sister and I over to Columbus to view the actual General during its centennial tour, and I was mesmerized. I still treasure the family photos we took of us standing on the General. And then, to top it off, I found out that most of Andrews’ Raiders were also from southern Ohio!!! Fast forward thirty-odd years, and Gettysburg came out, rekindling my childhood love for the Civil War (and resurrecting my desire to start wargaming again, something that I had essentially dropped after college at Miami of Ohio). I started collecting and viewing Civil War movies, old and new. My favorite still has to be the 1988 Jeff Leighton film, Gettysburg in Miniature, which combined sprawling dioramas with thousands of painted wargaming figures to create a special treatment of the battle. However, since that is not a Hollywood flick, I omitted it from my list. Here are my five all-time favorite Civil War movies (not necessarily the five all-time BEST, as that’s a different list. Some of these were not well written or acted, but are on the list for nostalgia). 1. Gettysburg – Who can top Buster Kilrain and Kevin Conway’s brilliant interpretation of the character? 2. Glory – Denzel Washington and Morgan Freeman – what more can you say! 3. Johnny Shiloh – The poor librarians of Muskingum County! I searched everywhere for an much information on John Clem as I could find. He became my hero. 4. Wicked Spring – This movie has a classic message on the irony (and futility) of war. 5. The Great Locomotive Chase – Between coonskin caps and this movie, I was a big fan of Fess Parker’s. How would you rank your top 5 favorite Civil War movies??? Any that you particularly detest or hate, and would not recommend to Charge! readers? Any that particularly stand out as MUST SEE movies?? Please add your comments and opinions. I attended Cold Wars this past weekend in nearby Lancaster, Pennsylvania. Cold Wars is one of the three flagship miniature wargaming conventions presented by the Historical Miniatures Gaming Society‘s East Chapter. This was my fifth Cold Wars, and, as usual, it was fun to catch up with old friends in the gaming hobby and to see the array of visually appealing wargaming terrain layouts. I missed several friends who could not make it for a variety of reasons. For personal reasons, I did not serve as a gamemaster this year (not enough time to properly prepare, and I have been focusing on my historical books versus my wargaming activities). * Attendance seemed fairly strong this year, despite a rather nasty snowstorm on Friday afternoon that dumped over six inches of fresh powder on south-central Pennsylvania and turned U.S. Route 30 (and the hotel’s parking lot) into a vast skating rink. A few gamemasters and several players had to cancel, as they could not make it into town. Virtually all the dealers were there, as they had arrived on Thursday before the storm hit. * Rich Hasenauer’s Regimental Fire & Fury is nearing completion. He hosted another great 15mm ACW game on Saturday night, presenting an interesting scenario based upon the Battle of Kernstown. RNFF is gaining in popularity at conventions and has a cadre of devoted followers. However, not having the rules yet in print limits the overall acceptance, and there are way too many versions of the rules floating around the Internet. Still, Rich is to be commended for his efforts, and we at the American Civil War Gaming Society look forward to his finished product. Tony Figlia, who often co-hosts the RNFF games with Rich, is a great gamemaster who keeps things entertaining for the players. 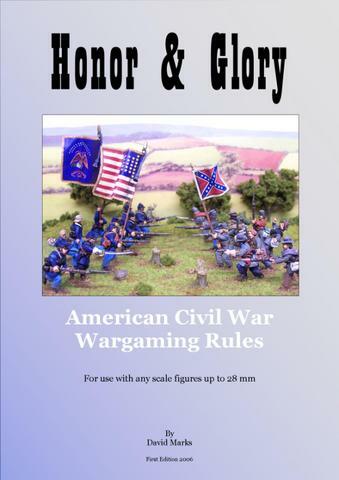 * Jim Kopchak of the Northern Ohio Gaming Society (NOWS) debuted his new rules, Civil War Commander, which are a new regimental-level set. Jim is an old pal from when I lived in Cleveland (he used to drive out to Lake County and play Johnny Reb 3 with Doug Rogers and me). Jim’s new rules should be in print and for sale before too long. He showed me a proof copy, and they look easy to understand. I will keep the readers of Charge! blog updated on his progress. Jim’s game was a nice depiction of the 1862 Battle of Corinth. He scratchbuilt a number of fences and abatis for the layout. * I played in a Mexican-American War scenario, the Battle of Cerro Gordo, presented by Jon Coulter of Old Dominion GameWorks of Virginia, publishers of the American BattleLines rules set (which can be used for the Civil War as well). I was Santa Anna, and we had a blast. The Mexicans held their own and denied the miniature Winfield Scott’s advance on Mexico City. The Mexicans did not take a single casualty for the entire first hour of the game, while the Americans by then had three regiments wrecked and two more routed. Once Gideon Pillow’s division arrived and unlimbered its artillery, Mexican casualties started evening out, but, by then, it was far too late for the Americans to seize the Mexican camp and open the road to the capital city. * Doug Kline’s Battlefield Terrain Concepts was quite busy during my two-hour book signing session (I only sold one copy – disappointing, but I understood. Gamers prefer to spend hard-earned cash on wargaming supplies and figures. I have MUCH better success selling my books at bookstores, museums, and ACW gift shops in Gettysburg, as well as on amazon.com). Doug’s hot new product was cast resin tree bases (about an inch and a half in diameter), which sold really well. They look quite good when flocked and finished, with the tree attached! Doug’s new terrain tips booklet (published by the Johnny Reb Gaming Society), This is Good Ground, also sold well. This new digitally printed booklet offers lots of color photos of Doug’s layouts, as well as many of his “secrets” for a marvelous looking gaming table layout. * Sash & Saber’s 40mm figures are outstanding! If I had to start over, I would buy them and get hooked. My friend and fellow JR3 gamemaster, James Mattes of Maryland, has started collecting and painting 40mm figures and plans to run a major JR3 game with them at one of East’s conventions later this year. * Speaking of JR3, the only Johnny Reb 3 game on the schedule this year was a 15mm four-player game of the Battle of Overall Creek presented by gamemaster John Breslin. Unfortunately, this game was cancelled, so, for the first time in memory, there were NO Johnny Reb games at an East convention. I plan to run at least one game at Historicon, and perhaps we will see games from some combination of James Mattes, Curt Daniels, John Breslin, Larry Morris, Bob Grosse, Doug Kline, and/or P.J. O’Neill (all are leading JR gamemasters who have graciously presented their talents in past East cons). * John Michael Priest (a Maryland high school teacher and the author of interesting books on Antietam, South Mountain, and Gettysburg) was back at Cold Wars with his 54mm skirmish level wargaming rules, Fix Bayonets!. Both of his Battle of Carthage sessions were well attended. John’s games always remind me of my youth of playing with toy soldiers, as he uses commercially ready-to-play soldiers from Britains, Marx recasts, and an array of other figure manufacturers. His rules are incredibly simple and uncomplicated, yet are great for a fun afternoon’s entertainment. * I spent so little this year – $15 admission for a “day tripper” wristband, $6 for a pair of painted 10 mm farm buildings, $2 for a nice McElfresh color map of the Chancellorsville battlefield (I used his maps of Gettysburg and Antietam as a major source for the maps in my wargaming scenario books), $2 for a large pack of 3/4″ x 3/4″ metal bases from Outland Games’ bargain bin, and $8 for food and beverage for the day, plus a quarter tank of gasoline for the round trip from my home in York over to nearby Lancaster. I just didn’t see much else that really tempted me. 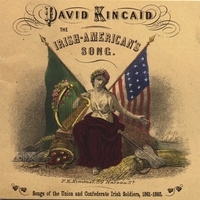 I have been spending more on Civil War music and books lately than on wargaming. What were your impressions of Cold Wars this year compared with previous years? Please leave your comments and thoughts! 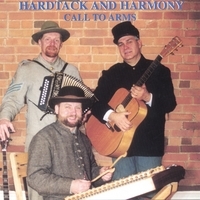 Music to wargame or paint figures by!! Reader Andy MacDonald-Rice of merry ole’ Wales is a buff of American Civil War music (and he’s one of the more talented painters of miniature Civil War figurines that I have come across). Andy read my thread on the 2nd South Carolina String Band and sent me a list of ACW music that Charge! readers might enjoy. Many of these titles are available from on-line sources that ship internationally. Of his list, I have several of the Bobby Horton titles. Horton’s style and interpretation of these classic songs is something that I have long enjoyed. I like to put on one or two of his CDs while I am wargaming, as they provide great background music. The creators of the TalonSoft series of PC computer gamers must agree, since they included Horton’s songs in their Civil War series. 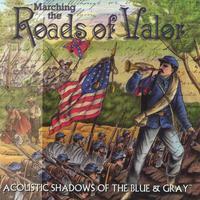 What is your favorite Civil War band or singer? Leave a comment explaining who you like best and why? Any of these bands that you do NOT recommend or like? Why? 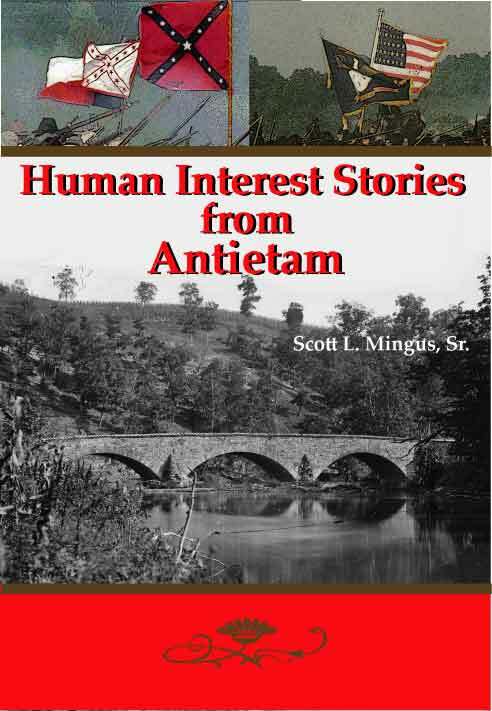 New Antietam book ready for pre-production orders! Here are two examples of these short and easy-to-read vignettes. The new book is only $9.95 and autographed first edition copies are available for pre-order directly from the author. Contact Scott Mingus at scottmingus@yahoo.com for payment options and shipping. Act now, and save a buck on shipping and handling ($2.50 versus the standard $3.50). My son Tom had not been to Ford’s Theater since his 6th grade class trip from Mentor, Ohio, a decade ago. I had NEVER been to the theater (or even driven or walked past it) despite a couple dozen business trips and five or six vacations or outings to DC. Today, I took an elective holiday from work, and Tom and I drove from our current home in York PA to Greenbelt, Maryland, and caught the Green Line Metro train down into Washington DC. The restored Ford’s Theater was a lot smaller and more intimate than I had imagined. We were unable to visit the presidential box or peer inside, but were allowed to stand in the upper balcony and stare across the theater to the box where Lincoln was shot. The leap down to the stage from there didn’t seem terribly daunting from our vantage point. We were then ushered by the NPS park rangers into the theater’s basement to the Lincoln assassination museum. I had not realized what an awesome collection of artifacts and relics the government has on display in this small museum. A blood-stained pillow that once cradled Lincoln’s head as he lay dying across the street in tailor William Peterson’s boarding house. Lincoln’s clothes he wore to the theater (his top hat is currently over at the Smithsonian’s Air & Space Museum in a temporary exhibit while the American History Museum is being renovated). Mrs. Lincoln’s opera glass case. Booth’s pistol, boot, spurs, rifle, and other personal effects. Hoods, manacles, pieces of the rope used to hang the conspirators. Artifacts from the young couple in the box with the Lincolns. The wooden door to the presidential box with the peephole bored out by Booth. The U.S. Treasury Guards blue regimental flag that Booth caught with his spurs as he leaped from the box after shooting Lincoln. Various pieces of evidence collected against the assassins. Bits of the original wallpaper from the private box. Drumsticks and a violin played that night in the orchestra. Original tickets to the play. A playbill from a March 1865 play in Ford’s Theater starring none other than J. Wilkes Booth, less than a month before he killed the President. Lots and lots more of interest in this hidden gem that I had never visited before. We then went across the street and toured the Peterson house where Lincoln died on April 15, 1865, at 7:22 a.m. We came out from this somewhat cramped place of reverence, and I was stunned to find that “the American way” was in full effect next door. Greed and tackniess… to the left and right of the Peterson house were very tacky souvenir stands selling the latest Lincoln statues made in China, as well as garish T-shirts, cigarette lighters, coffee mugs, and the like. Of course, in the days following the President’s death, early souvenir hunters swiped whatever they could lay their hands on related to the assassination, so perhaps the modern day vultures should not surprise me much. The rest of a very long and tiring, but exceptionally rewarding day, saw us visit the nearby Hard Rock Cafe for an excellent lunch, hike through the Smithsonian’s Natural History Museum, and then visit the National Archives to see the Declaration of Independence and the Constitution (they have a special display on the Civil War movie Glory currently). With some time left in the afternoon, we tramped over the American Indian Museum (visually striking building design and architecture, but a horribly boring place to visit). We wound up going to the Air & Space Museum to see the Moon Flight exhibit, as well as the 100 items temporarily on exhibit from the American History Museum while it is closed. We then walked past the original Smithsonian buildings and castle to the Metro for the twenty-minute ride back up to Greenbelt and the 90 minute drive from there back home to York. A great day! I had never before been to Ford’s Theater, the Natural History Museum, the National Archives, or the American Indian Museum. Skip the last one and definitely see the others! The Hope Diamond by itself is worth a trip through the Natural History Museum. Ever visit any of these places? What did you like or dislike about them? The Civil War was truly a war of brother against brother, family against family, and neighbor against neighbor. Such was the case here in York County, Pennsylvania, where a number of local men served in the Southern forces, particularly in Maryland units. One brevet major general in the Confederate States army hailed from this area. Johnson Kelly Duncan was born and raised in rural Chanceford Township in southeastern York County, which borders the Susquehanna River. Duncan was born March 19, 1827. He was appointed to the United States Military Academy on July 1, 1845, and graduated from West Point in June 1849. A good student, he ranked 5th in a class of 43 cadets. With his high academic standing, he was breveted as a second lieutenant and assigned to the Second U.S. Artillery in July of that year. Not long afterwards, on October 31, he was given the full rank of second lieutenant and reassigned to the Third Artillery. He saw his first combat action serving in the Florida hostilities against the Seminole Indians. From 1850 until 1853, he was attached to Forts Sullivan and Preble in Maine, primarily serving on garrison duty. Promotion came relatively slowly in the antebellum army, and officers often resigned to take up civilian pursuits. Duncan Johnson was no exception. On Christmas Eve in 1853, his promotion to first lieutenant came through, but he was frustrated with army life. He was the assistant on the Northern Pacific railroad exploration until December 1854. He tendered his resignation from the U.S. Army on January 31, 1855, and entered private life in Louisiana. Duncan became the Superintendent of Construction and Repairs in New Orleans, in charge of the branch mint, marine hospital, quarantine warehouse, and the Pas a l’Outre boarding station. Duncan, in collaboration with P.G.T. Beauregard, completed the work on the New Orleans Branch Mint in early 1859. From then until 1860, he was professionally occupied as civil engineer, surveyor, and architect in New Orleans, becoming also, in 1860, Chief Engineer of the Board of Public Works of the state of Louisiana. When the Southern states began seceding from the Union, Duncan reentered military service, this time as an enemy of the United States Army. He enlisted in the CSA forces as a colonel and rose in rank and status rather quickly. Promoted to brigadier general of Louisiana troops on January 7, 1862, he was assigned to command the defenses of New Orleans and the Lower Mississippi, and he quickly became widely known as one of the finest artillerists in that region. He commanded Forts Jackson and St. Philip at the time of their capture by Admiral David S. Farragut, on April 25, 1862, and became a prisoner of war. 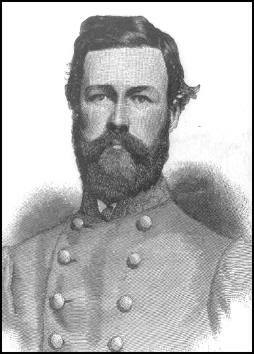 After being exchanged, Brigadier General Duncan was assigned to the staff of Braxton Bragg, becoming Chief of Staff. Johnson K. Duncan contracted a malarial fever and died far from his native York County in December 18, 1862, at Knoxville, Tennessee at the age of only 36. He was buried in the McGavock Confederate Cemetery on the Carnton Plantation in Franklin, Tennessee. That cemetery is the largest private Confederate cemetery in the country, with over 1,500 graves. Which rules set do you prefer? I started wargaming back in college at Miami of Ohio in the late 1970s, primarily using Stars ‘N Bars by Scott Bowden. Not long afterwards, I was exposed to a typewritten set of tables and charts from some Indiana gamer named John Hill, a set of rules destined to become Johnny Reb. I played JR1, JR2, and finally JR3, and obviously from this blog’s title, I remain a leading adherent of this rules set. However, I have played a number of rules over the years at conventions or privately, and I must say that there are good ideas in all of them. Perhaps a hybrid is what is really needed? I founded Charge! newsletter originally to promote JR3 gaming, and it has remained steady at a couple hundred hard copies each quarter. 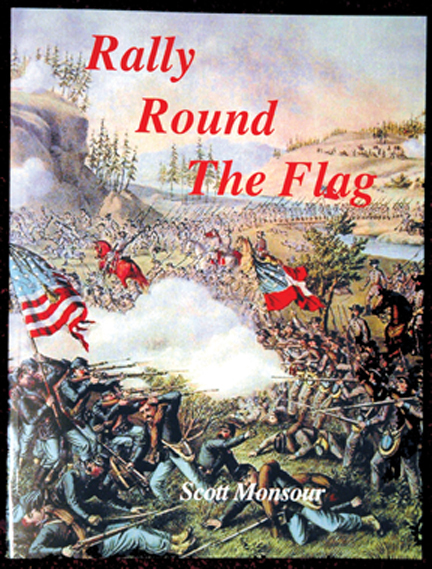 Over time, I have opened the pages to other regimental scenarios (such as for Regimental Fire & Fury and Rally Round The Flag, as these are readily convertible to Johnny Reb, and they add diversity and variety to the magazine). I am encouraging more authors from these alternative rules sets to also submit their work to Debi and I, and we hope to post more in the future. While I remain a fan of JR3, I enjoy Civil War history even more, and I enjoy a good regimental game no matter what the rules set may be. I am even branching out into ACW naval thanks to my new fellow York Countian, Bob Johnson, who has re-hooked me on riverine warfare gaming. In your opinion, what are the relative strengths and weaknesses of JR3 versus the other major rules sets for regimental-level Civil War miniature gaming? I plan to eventually write a Charge! article comparing and contrasting the top six or so rules sets, but, for now, I solicit your input and thoughts. Please leave comments with specifics on what you like and don’t like about RFNF, JR3, RRTF, Mr. Lincoln’s War, ABL, Honor & Glory, Civil War Commander, Piquet, etc. The best ACW camp music group???? One of my fondest memories was a Saturday five years ago when my beloved Dad, a veteran of WWII then in his late 80s), and I attended the annual Civil War relics and collectibles show in Mansfield, Ohio (a huge event that all Civil War buffs should attend at least once in their lifetimes). As Dad and I wandered around this sprawling show, we both paused for awhile to listen to a lively minstrel string band, dressed in Confederate reenactor uniforms. My Dad loved them and commented how authentic they sounded. He grew up in the southeastern Ohio Appalachian hill country during the Roaring ’20s and was no stranger to good music. The group playing in Mansfield was the 2nd South Carolina String Band, and they were really entertaining. My Dad passed away in May 2005 while I was on a business trip to Finland, and I struggled through a year and a half of depression, personal pain, and heartache. Last summer, as my sons and my daughter-in-law attended the annual Gettysburg reenactment, we heard the lively strains of “Camptown Races” coming from one of the sutler’s tents. It turned out to be the very same band that my Dad and I had enjoyed on our final Civil War outing together. So many memories rushed back, and, frankly, it was a healing moment. I bought one of their CDs, Hard Road, and became hooked. For Christmas, my wonderful wife and best friend Debi gave me another of their CDs, this one a collection of camp songs entitled In High Cotton. During a book signing last month at the National Civil War Museum in Harrisburg (I sold out of my book that day! ), I picked up another of the 2nd SC String Band’s outstanding CDs, this one being Southern Soldier, a nice blend of camp songs and martial tunes. It includes one of the very best renditions of “Dixie” that I have ever heard. This past weekend, I had the privilege of hosting a JR3 game at Patriot Point on Cemetery Hill at Gettysburg. 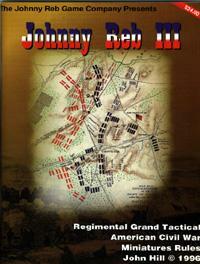 During the wargame (which was of Cemetery Hill), I had a chance to chat with fellow gamer Bob Johnson regarding the rules and sequence for conducting and resolving charges in Johnny Reb 3. In a specific instance, one regiment of the Louisiana Tigers, supported by 3 other regiments, charged a portion of Ames’ Brigade along hasty works on the northern slope of Cemetery Hill. The Tigers were hit at normal range with musketry, inflicting 3 casualties on a 4-figure stand. The Rebs passed their check, came storming in, easily won the dice down for impact, and the Yankees rolled a 10 and routed off the position. My colleague’s opinion was that there should be more of a modifier for losses on an incoming regiment. In this case, losing 20% of the regiment as it came in was not enough of a deterrent to stymie the attack, and the chargers swept that portion of the hill (they were repulsed a couple of turns later and the Yankees won the game). The question got me thinking about how fickle and die-roll oriented the charge sequence is. It is perhaps as good as it can get (although I do like P.J. O’Neill’s differential table). What is your opinion on the charge sequence? So many folks who don’t like JR3 point specifically to the cumbersome charge system as the major drawback of the rules system. Your thoughts?